Over 90% Discount when purchasing all 13 font families. 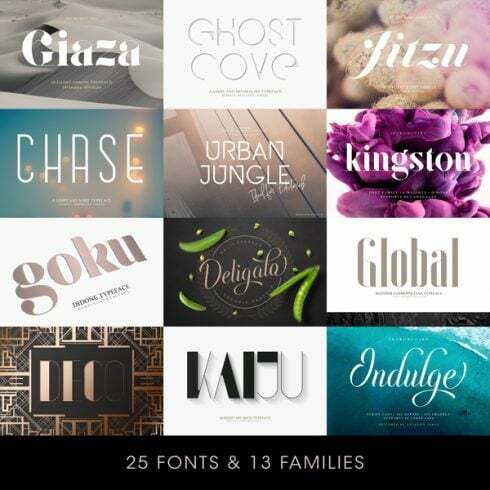 Add a touch of elegance to your font library with these well-balanced, premium typefaces. Housing a large array of weights and swashes, to cater to any occasion. What Are Web Fonts and Why Are They Useful? Font can be labeled as a graphic representation of text message. We could refer to it as a design pattern for a set of letters and characters. With different shapes, point sizes, weight, and shade, fonts in many instances establish the perception of design. A font is often priced in the range of $7 to $100 depending on the creator and marketplace. There are 5 major types of fonts. Serif fonts are more typical, they are easily recognized via tiny lines attached to letters. Sans-Serifs are a modern type, and characters don’t have small “feet” on their ends. Slab-serifs feel blocky and chunky, these fonts contribute substance to the design. Script fonts imitate hand writing and also have interconnected characters. Stencil fonts are known to have curved edges and narrow strokes, use them to make an artistic statement. The Definition Of Bundle Deals and How Much Would They Cost? 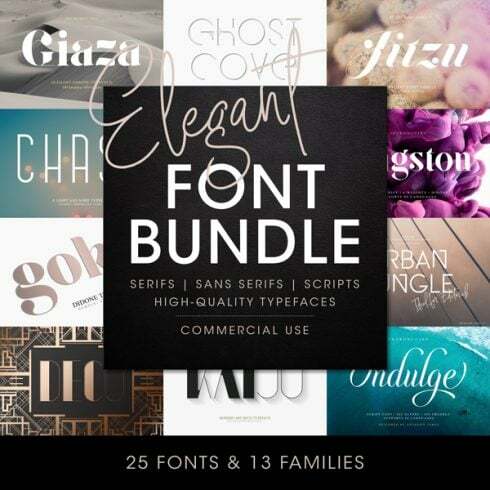 Font bundles are the staple deals for successful graphic designers. A bundle is a collection of several premium fonts. A bundle costs significantly less than all these fonts separately. It enables saving as much as 99%. On Masterbundles.com, there are various font bundles within the range of $4- $50, primarily based on the size. If you happen to look for discounts, you can save a whole lot more and obtain awesome fonts for commercial use. How Can Fonts Impact Impression of the Product or Company? In the case of creating banner ads, one should choose a web font really carefully. Ad banner designers should select those kinds of fonts that will correspond to the mood of their ad. The font itself does not only carry info but also fills it on an emotional level, if one is used appropriately. Normally, the advertising textual content gives the person an idea of the brand’s service, which signifies a properly-chosen web font will only contribute to the wanted aesthetic impact. I Have Not Found Any Suitable Web Fonts in This Kit. What to Do? If you haven’t spotted the suitable font in this package, you shouldn’t give up hope! There are actually a huge selection of bundles coming from the greatest designers on MasterBundles.com. Invest time to look through them all and you will find the perfect bundle! It is so satisfying to eventually track down the deal that suits your creative and professional requirements. What Other Sorts of Bundles Do You Sell on MasterBundles? Apart from font bundles, MasterBundles boasts numerous spectacular design bundles. Find out more about web site template bundle deals, image bundles, icons, textures, and patterns. There are also electronic books and courses, stock photos, logos, illustrations and add-ons, mockups, as well as other categories. We have thematic Christmas and Valentine’s product bundles, postcards and powerpoint presentations. And, not surprisingly, our absolute favorite under $5 design bundles! MasterBundles.com is an online marketplace. On our resource, pro web designers offer their masterpieces at the best prices. We provide you with the best deals on the market, and our bundles are highly reviewed by clients. Go and visit our blog, it is packed with practical and inspiring articles for pro web designers. Also, if you register for our newsletter, you’re going to be the first to be informed on our discounts. There’s always discount coupons and promo codes available to lower the prices to a minimum.